Maywood, Los Angeles Personal Injury & Wrongful Death Attorneys – Over 40 Years of Accident Experience You Can Trust! Seek Best Legal Assistance For Your Truck Accident Personal Injury Claim Or Wrongful Death Claim in Maywood! For your truck accident personal injury case in Maywood, Los Angeles, many different issues may arise, from managing legal formalities pertaining to the case to coping with the injuries, medical care, medical bills, loss of a loved one or damage to property or loss of income. Thus, you need the assistance of trustworthy, aggressive, yet compassionate, truck accident personal injury & wrongful death accident lawyers. Our truck accident services extend to those injured in truck, car, motorcycle and other types of personal injury accidents and families with wrongful death accident claims. If you need a consultation it is FREE & CONFIDENTIAL. All you need do is call us at 818-222-3400 or 1.866 INJURY 2 (after hours dial 1) or simply click here for our 24/7 FREE consult intake. In fact, if you have lost a loved one in a tragic accident involving a truck, car or any other accident because of the negligence of another driver, contact us for assistance in wrongful death claims. Find more information on our Truck Accident Website for detailed information on how to deal with the situation when you or a loved one is involved in a truck collision or car crash in Maywood, Los Angeles or anywhere else in California. Maywood is a small city in Los Angeles County, located southwest of downtown Los Angeles, and just north of the city of Bell. 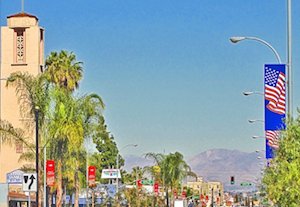 At 1.18 square miles, the city of Maywood is the third-smallest incorporated city in Los Angeles. 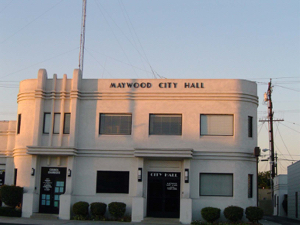 According to the U.S. 2010 Census, the total population in Maywood, LA was recorded at just 27,395. 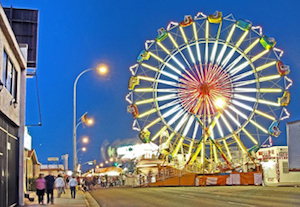 Noted celebrities born in the city of Maywood include American musician, singer, songwriter – James Melvin and television actor Dana Michelle Plato, most noted for her role as Kimberly Drummond on the U.S. television sitcom Diff'rent Strokes. Maywood, LA is also the hometown of former Major League Baseball pitcher Larry Anderson. The most crucial aspect of a personal injury case is determining liability, then treating and documenting injuries and damages. Determining the cause of an accident is of utmost importance when pursuing a legal resolution for compensation for your injuries and damages as it will determine whether one is entitled to compensation and whether any reduction need be made for comparative negligence or other liability factors which our truck accident personal injury and wrongful death accident lawyers can better explain to you in a FREE consultation. Thus, it is wise to consult knowledgeable and experienced truck accident personal injury lawyers for Maywood, Los Angeles, and California to fully understand your rights and to best be able to fight for your rights to acquire maximum compensation for your losses. In our 40 years of experience, we have successfully resolved countless truck, car, motorcycle and bicycle accident personal injury cases, wrongful death claims and other personal injury cases in Maywood, Los Angeles and all throughout California. Fill out our 24/7 contact us form and tell us about your Maywood, Los Angeles or California truck accident or other personal injury accident in detail. 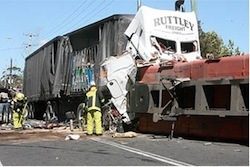 We work on a contingency fee on truck accident injury cases an dothe rpersonal injury accident claims. That means that there is NO charge for our initial consultation – it is absolutely FREE! Speak to our trusted tuck and car accident injury lawyers who can assist you during your truck accident or other personal injury case in Maywood, Los Angeles, CA. There are many time deadlines and procedural rules, especially with the California DMV and insurance companies, so please do NOT delay. Call us now – You will be glad that you did!